Oklahoma is among the top oil and natural gas-producing states in the country. Despite the state’s overall number of working rigs decreasing slightly late last year and early in 2019, the “Sooner State” boasts 14 of the nation’s 100 largest natural gas fields, plus the STACK and SCOOP plays (more on those shortly), which are rich in hydrocarbons. According to the American Oil and Gas Historical Society, the first oil discovery in Oklahoma came from Lewis Ross in 1859. He found a pocket of oil in Indian Territory, nearly 50 years before Oklahoma became a state. Today, nearly 150,000 Oklahomans work in the oil and gas sector, a State Chamber of Oklahoma Research Foundation executive summary says. 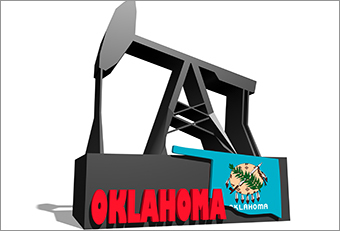 Here are 10 things you may not have known about the oil and gas industry in Oklahoma. Much of the state’s oil and gas production happens in the STACK shale play. The STACK acronym stands for Sooner Trend (shale formation), Anadarko (basin), Canadian and Kingfisher (counties). 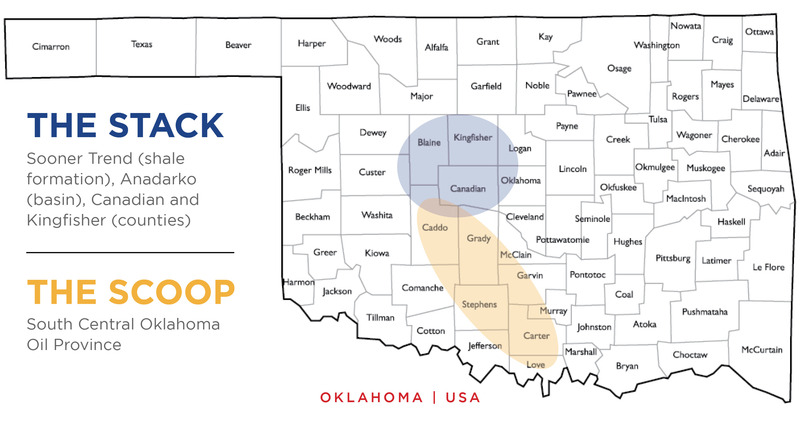 The region is “stacked” with hydrocarbon-rich layers that allow drillers to target pay zones at multiple depths. Meanwhile, the SCOOP play is the South Central Oklahoma Oil Province, also in the Anadarko Basin in the western part of the state. When Ross uncovered oil in the late 1850s, he was actually drilling for brine, which was valuable and desired for making salt. A 2016 State Chamber of Oklahoma Research Foundation executive summary says Oklahoma now ranks fifth among states in oil production and third in natural gas production. The same executive summary notes that the crude oil and natural gas generated in Oklahoma is worth $15.4 billion annually. More than one-fourth of Oklahoma’s natural gas gross withdrawals are consumed within the state, according to the EIA. The remaining supply is sent by pipeline through Kansas, Arkansas, Texas and Missouri to other markets. A natural gas transfer and storage facility operates in the Oklahoma plains (Shutterstock.com). Halff Associates’ oil and gas professionals have embarked on 30 projects in the Kingfisher County area since April 2018, primarily surveying 73.5 miles of greenfield pipeline builds and approximately 42 miles of pipeline as-builts. Halff has also provided subsurface utility engineering (SUE), state road and railroad permitting assistance, and engineering support. Halff’s surveying work across three counties has encompassed 121 sections, three railroad crossings, two highway crossings and one river crossing. For more information about Halff’s Surveying team, write to Info-Surveying@halff.com. To contact Halff TriTex Oil and Gas, write to Info-OilandGas@halff.com.